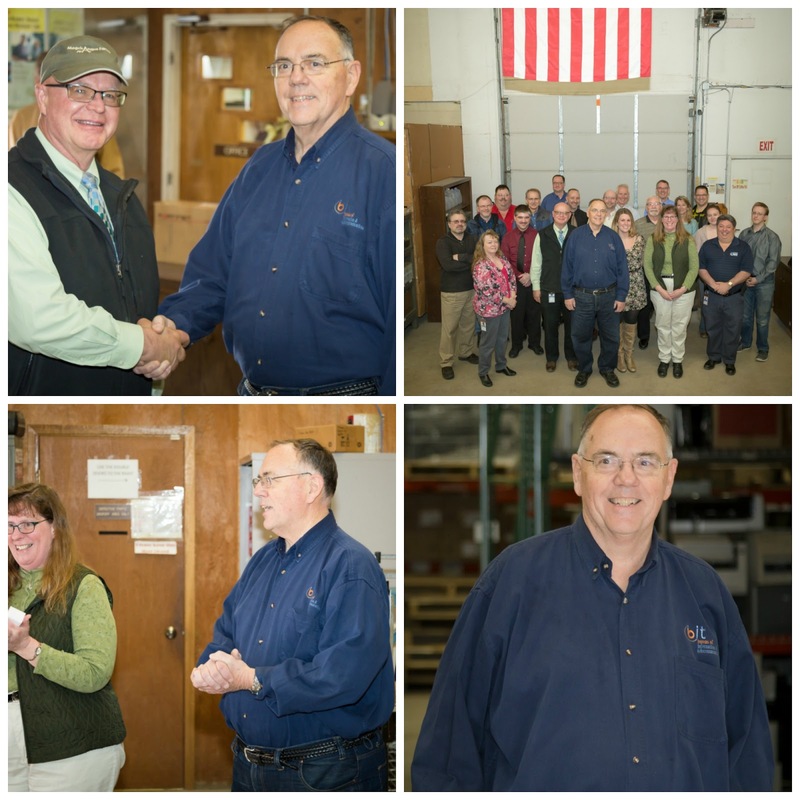 Bill Welch Celebrates 40 Years! Спортивный стиль, в современной одежде, чрезвычайно популярен среди людей крупной комплекции. И тут нет ничего удивительного, потому как спортивная одежда больших размеров, довольно красивая и современная, а ещё чрезвычайно удобная и практичная в носке. Даже тем людям, которые в повседневной жизни предпочитают носить деловой стиль в одежде, совершенно не обойтись без спортивного костюма для занятий спортом, отдыха или для дома. Исключительный спортивный костюм большого размера необходим в гардеробе человека, даже в том случае, если Вы не являетесь заядлым спортсменом. Комфортный спортивный костюм, с превеликим удовольствием понадобится для прогулки в парке, походе за грибами, дома или на даче. Спортивные костюмы давно стали необходимостью, и это не удивительно, они не сковывают движения, комфортны и красивы, позволяют телу дышать. Выбор такой одежды Вы найдете в интернет-магазине “Красотка”: купить спортивный костюм большого размера . Женский или мужской спортивный костюм, разнообразит Ваш гардероб, внесёт в него неформальную практичную ноту. Интернет-магазины предоставляют выбор различных спортивных костюмов, поэтому каждый желающий сможет без труда приобрести данный вид одежды и обязательно найдет то, что его интересует. 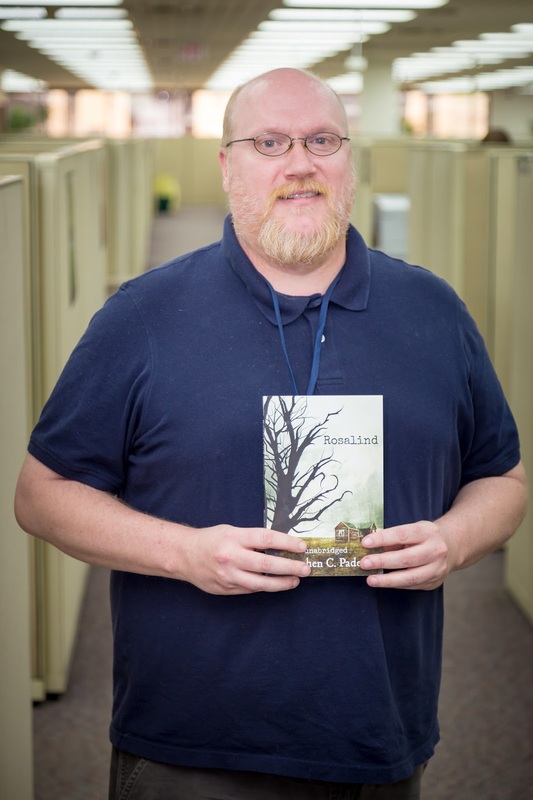 The above is an excerpt from Steve Paden’s first novel Rosalind. Steve currently works for BIT as a Software Engineer II. Steve began seriously writing in 2005 and joined Francis Ford Coppola’s writing workshop website, giving him his first introduction to peer-review. Currently, Steve is working on finishing Maggie and is currently on version 5 or so. 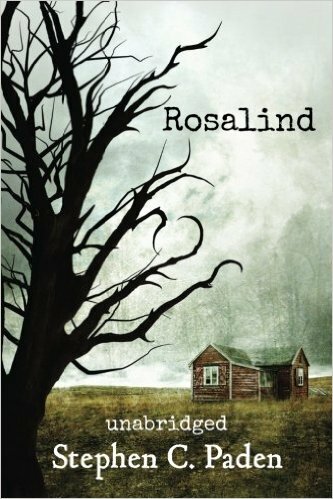 You can purchase Rosalind from Amazon, CreateSpace eStore, or at Sarah Etzkorn’s desk (while supplies still last)! Be aware, the digital version available on Amazon contains a different ending than the unabridged, physical copy. Recently, Wayne Wayt went to Washington DC and Mount Vernon, Virginia with his parents, aunt, and sister. While they were there, they visited the memorials of Jefferson, Lincoln, and Martin Luther King Jr. 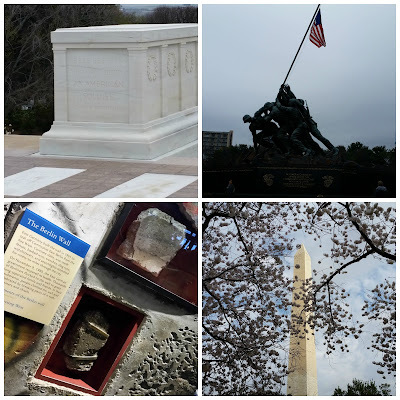 In addition they stopped by the Washington Monument, a few Smithsonian museums, a Holocaust museum, and the Arlington National Cemetery. Wayne explained that his favorite thing to see was probably the Jefferson Memorial, because most of the other exhibits he has seen before. He went on to say that because of the time of the year they were there, they were lucky enough to see the cherry blossom trees blooming, which was a beautiful sight! 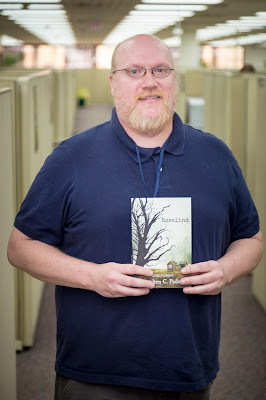 Steve is a senior technology engineer working as a member of the Systems and Operations Team in the BIT Data Center. 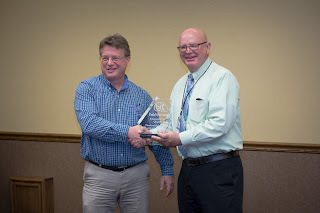 Steve was lured away from his previous position as a consultant for TEK Systems and his former home in Atlanta GA approximately four and a half years ago and has been a steady and valued member of our team ever since. 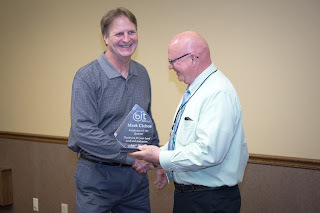 When he joined BIT, Steve already had over thirty years of experience with mainframe systems including the application of operating system upgrades starting with Multiple Virtual Storage (MVS) and progressing through to the current IBM operating system, z/OS. He has a broad knowledge of mainframe systems, mainframe programming languages, and product installation and patching processes. Since joining us, he has had the opportunity to put his skills and knowledge to good use supporting our clients and his team members. 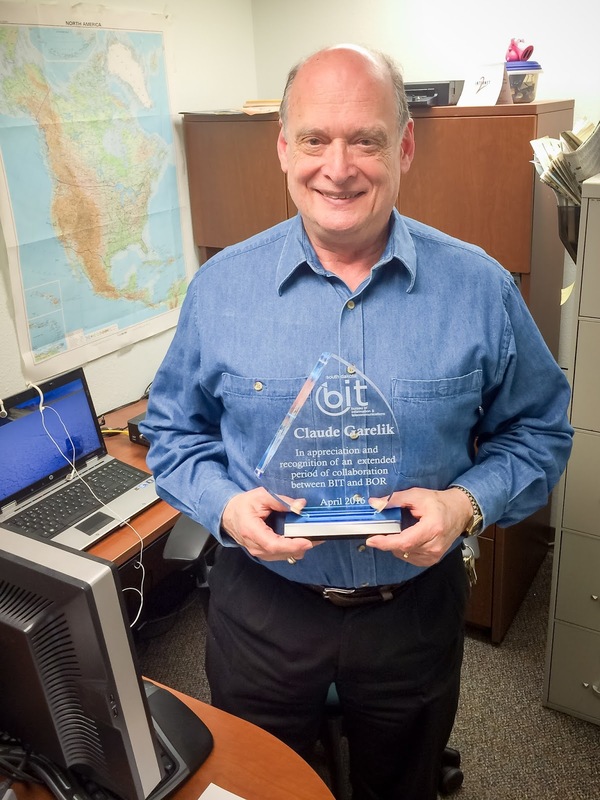 He has been our lead technician for the Compuware Product Suite, has played an important role in designing mainframe recovery processes, and after multiple attempts by former employees, he was able to successfully eliminate BIT’s dependence on Panvalet on the mainframe. 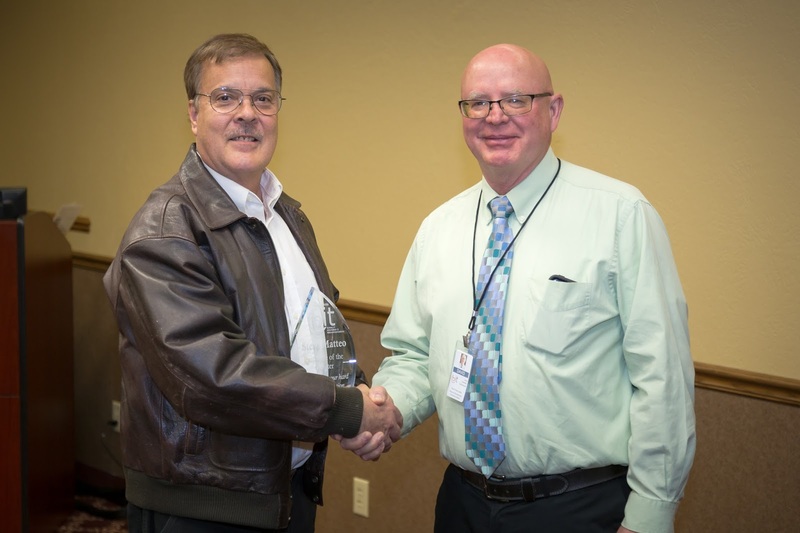 Steve is also one of only a few remaining BIT employees that can write or modify mainframe assembler code, and is among only a handful that can code in the predominate mainframe scripting language, REXX. 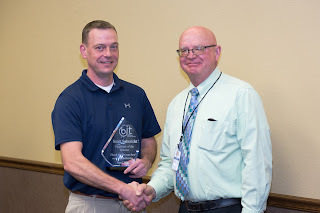 Most recently, Steve played an important part in the project to encrypt all mainframe data at rest, was the lead technician during the installation of a third-party query tool for the mainframe security system, and played a lead role in the mainframe operating system upgrade that was implemented last fall. The project at the top of his list of current assignments involves him putting his knowledge of the Computer Associates product suite to good use by leading an effort to upgrade the mainframe tape management system to the latest supported release while also removing code and references to software packages that we no longer need. When not on the clock, Steve counts himself among the many firearms enthusiasts in the area, has a passion of working on old cars, and can occasionally be seen being led down the sidewalk by his two miniature Pinschers. · Design and installation of a new statewide radio communications system in 2003. · Upgrade of the tower sites on the system between 2003 and 2014 from 35 to 58. · Upgrade of the radio network core and site equipment between 2012 and 2014. · Increase in the number of users on the system from 14,000 state, local, tribal, and federal radios to over 22,000 over the past 13 years. · Drafted and received FCC approval for the states 700mhz and 800mhz spectrum plans. Todd leads a staff of nine technicians that maintain the system, is the frequency coordinator for South Dakota, and participates with the interoperability governance within our state and is actively engaged with our border states to improve cross-border communications. Todd’s family includes his wife Pam, and children Trey and Marlee, both currently in High School at Pierre Riggs. As a family they are actively engaged in the Pierre swim team, with both Trey and Marlee competing regularly. In his spare time, Todd enjoys his amateur radio (HAM) activities, golfing, and keeping up with his beloved Minnesota Vikings. 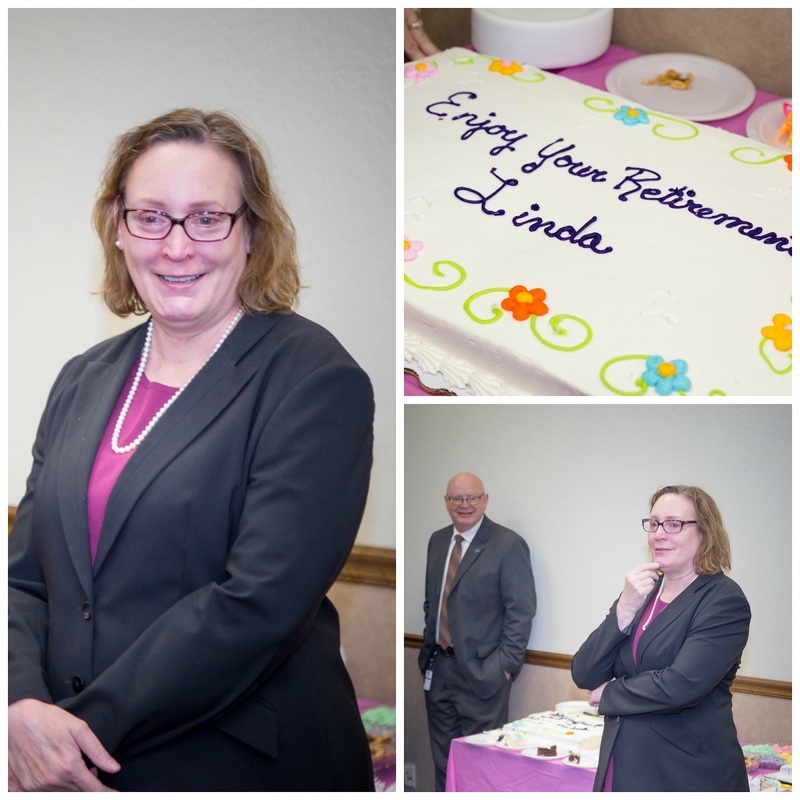 Todd has made a lasting impact on public safety communications for our state. The CC03 DPS Driver License System was a mainframe system written in house by BIT approximately 30 years ago. BIT partnered with DPS in May of 2013 to completely rewrite the system into a .NET application. The new systems, now known as the PS11 SDDrivers System, was successfully completed and placed in production in January 2016. The 2 ½ year project was completed for $1.5 million, which amounted to 100 hours under the estimated project hours and only $13,000 over estimated project cost (some of which can be attributed to an increase over the BIT Development hourly rate of the 2 ½ year period). 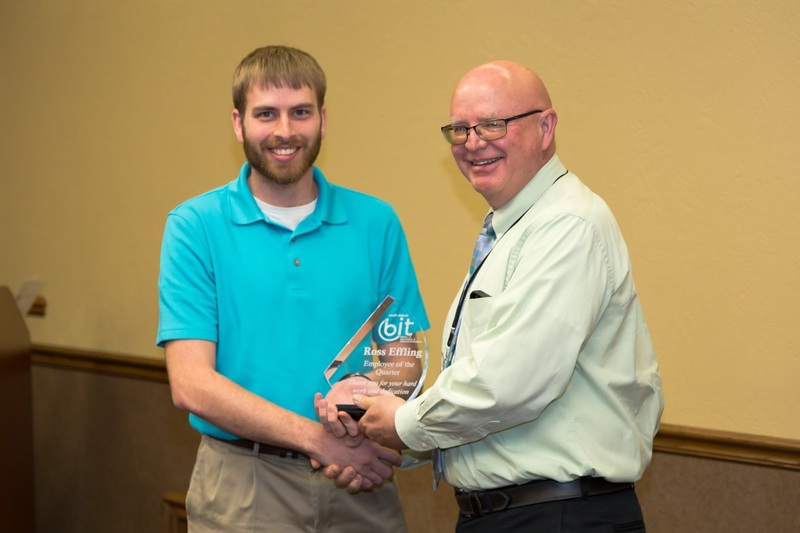 Ross started with the BIT family in August of 2014 as a Software Engineer I and was promoted to a Software Engineer II a year later. Upon joining the team initially, he was immediately appointed the lead web service representative for the team and also joined the DENR FoxPro Conversion project team. Ross served as one of the Lead Developers for the Driver License project. Once the DPS Driver License rewrite project took off, Ross became part of that project team with the intent that he would become the primary support of that system upon completion. The successful rewrite of the system has officially passed the torch from Gary Larson to Ross as he is now Primary Analyst for the PS11 SDDrivers System. In his spare time, Ross enjoys snow skiing, and mountain biking. He also is an avid golfer and officiates high school boys and girls basketball games. Ross is from Clear Lake, SD, and graduated from South Dakota State University. Paul initially joined BIT in September of 2000 as a Programmer/Analyst, and through perseverance and hard work, he now stands as a Software Engineer IV as of 2013. His many years of experience with the State made Paul an excellent candidate to be one of the Lead Technical Architect/Developer for the Driver License project. He has extensive experience working in a Lead Technical Architect role as he has spearheaded some of Development Team 2’s major projects over his tenure. Paul spends a lot of time staying in touch with IT trends and technology. He does enjoy gaming and actively attends gaming conventions when he has time. Paul just recently became a home owner, which also keeps him busy. 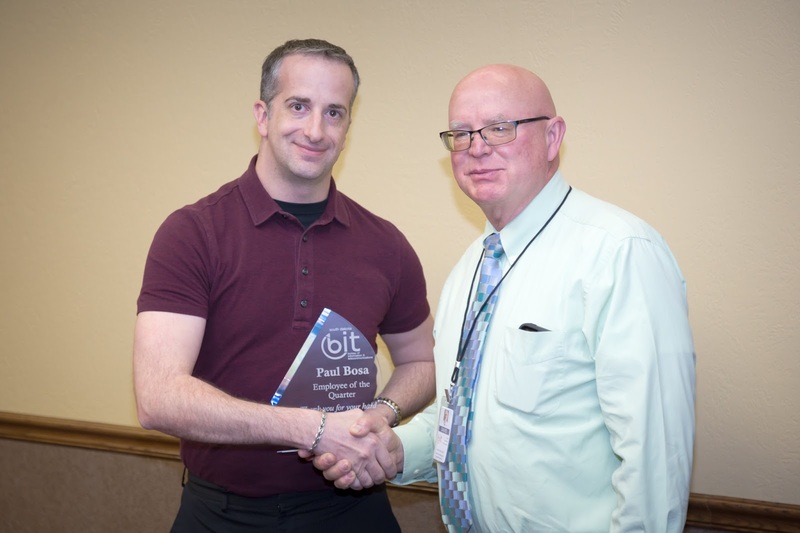 Paul is originally from Spearfish, SD and graduated from Dakota State University. Scott came aboard the BIT team in April of 2002 as a Programmer Trainee, and through perseverance and hard work Scott has risen to Software Engineer IV as of May of 2012. Scott acted as one of the Lead Technical Architects/Developers for the Driver License project. Like Paul, Scott has extensive experience working in a Lead Technical Architect role and has also spearheaded some of Development Team 2’s major projects. One of these was the Department of Revenue CEDAR System which is a complex accounting based system. It combined 5 existing tax revenue systems and 1 additional new application into one central tax revenue system, CEDAR, which is responsible for approximately 1.5 billion dollars in payments from tax filers. In his spare time, Scott enjoys fishing and has a green thumb for gardening, growing a variety of hot peppers for his homemade salsa. Scott is from Clark, SD and graduated from Lake Area Technical Institute. 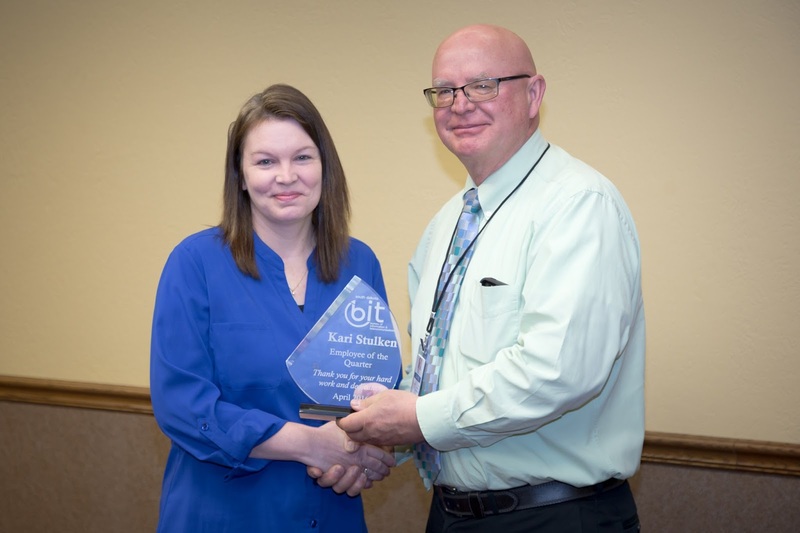 Kari began working for BIT in July of 1998 as a Programmer/Analyst, and currently serves as both the head of the BIT Project Management Office and an active project manager. 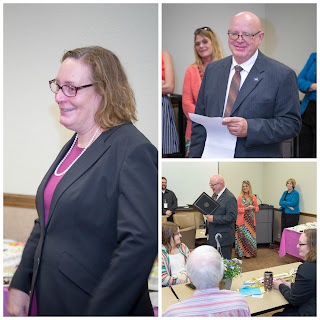 Fittingly, Kari was the Project Manager for the SDDrivers project. She did an awesome job of keeping it organized, on schedule, and on budget. None of these were easy tasks considering the constantly changing dynamic of the project, not to mention the project’s duration. Kari successfully navigated the waters of deciding such matters as how much money to spend in the first year, the use of an agile approach, increasing development rates, and simply coordinating 5 developers and countless users. Kari regularly met with Mark to discuss resources, project status, project budget, and any issues that would arise. Kari and her husband Troy have two daughters, Megan and Molly. Megan is a freshman at USD and Molly is a junior at T.F. Riggs. In her free time, Kari enjoys spending time at her lake house on Chantier Creek and working on her photography skills with her new camera! Mark joined BIT in January of 1987 as a Program Analyst. Over the years, Mark has climbed through the ranks and currently serves as a Software Engineer Manager II for Development Team 2. Mark was very supportive of the SDDrivers project. During the project, Mark made sure the project had development resources with the correct skillsets. He provided excellent advice to address the issues at hand and became an avid supporter of project management in the process. Mark and his wife Sue have two sons. Kyle is attending the University of Alabama Medical School and Scott is in the Doctor of Physical Therapy program at the University of Minnesota. Mark enjoys traveling, especially on the ground, to see his kids. Mark also enjoys following many sports activities, especially the NFL draft, NCAA Men’s Basketball, USD Coyotes, Pierre Governors, Post 8 Baseball and the Strasburg Clippers. 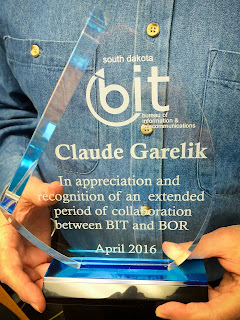 Again, congratulations and thank you all for your efforts and for all the years of dedication of service to the State—BIT looks forward to many more!